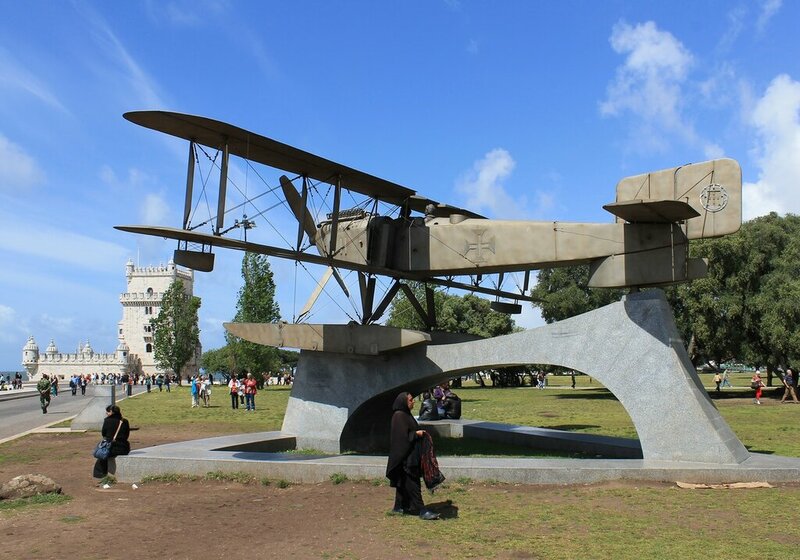 In the corner of the Tower Belém park (Jardim da Torre de Belém) installed a copy of the seaplane Fairey III-D MkII, in memory of the first flight across the South Atlantic (map). Portuguese naval pilots Gago Coutinho and Sacadura Cabral flew from Lisbon to Rio de Janeiro first, becoming the first to stop the southern part of the Atlantic ocean by air. The flight was dedicated to the centenary of independence of Brazil. For the flight was chosen seaplane Fairey III-D MkII English production. 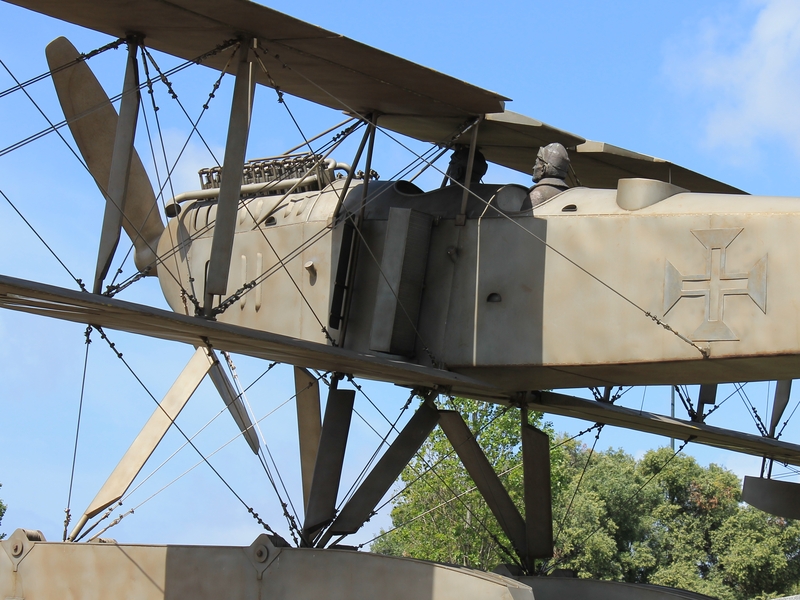 Aircraft of this type were produced from 1918 to 1941 years and took an active part in the Second world war. 11 of these aircraft were in service of aircraft of the Portuguese Navy. For the flight, the plane was finalized - it removed military equipment and increased the volume of fuel tanks. Was installed the artificial horizon-a novelty of the time, allows you to control the position of the aircraft out of sight of land. It is the opportunity to test this device has become a formal occasion for the flight. The aircraft was given the name " Luzitaniya". 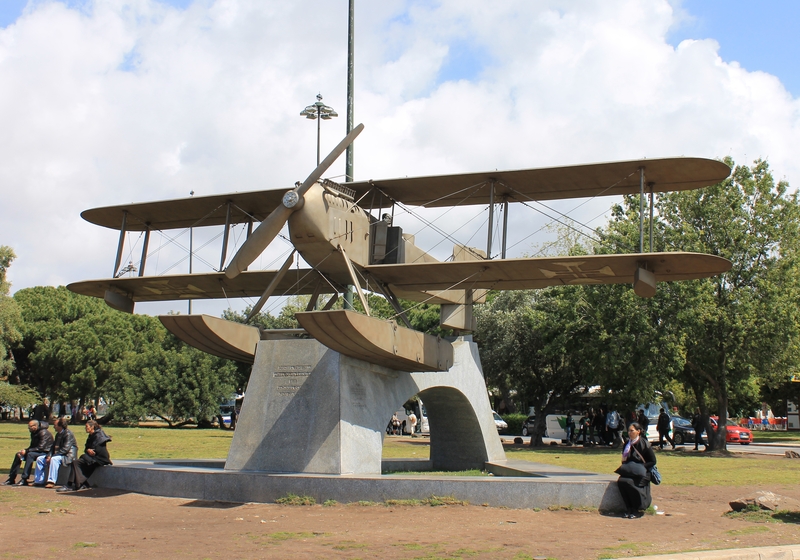 At 16:30 on 30 March 1922 Coutinho and Cabral took off from the Tagus naval base, located near the Belem tower in Lisbon. Late in the evening of the same day, having overcome about one and a half thousand kilometers, the pilots reached the Canary Islands, where they found that fuel consumption is higher than expected, and landed in Las Palmas. The journey resumed on April 5, pilots overcame 1370 kilometers to the Islands of Sao Vicente Island, where they were forced to land to repair the engine. The repair lasted for almost two weeks, and the pilots continued their journey only on April 17. Having reached first to Porto Praia on the neighboring island of Santiago, the pilots turned to the southwest, and on the same day reached the Islands of St. Peter and Paul off the coast of Brazil, flying 1,700 kilometers and crossed the South Atlantic. For navigation, pilots used a sextant and a new instrument - the attitude indicator. However, the pilots were unlucky here - being driven in the stormy sea near the island, the plane lost one of the floats, plunged into the water with one wing and soon sank. The aviators were rescued by the Portuguese cruiser "Republika", which participated in the support of the flight. The cruiser took the pilots to the port of Fernando de Noronha. 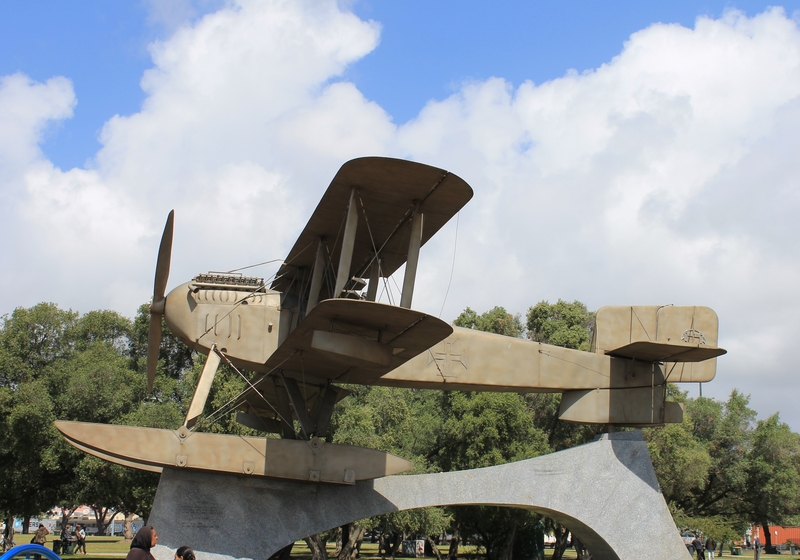 The loss of "Luzitania" could have ended the story, but rave reviews in the Portuguese and Brazilian press and public support prompted the Portuguese government to send another seaplane of the same type to the shores of Brazil to complete the journey. The new aircraft, named "Patria" (Fatherland), was taken to Fernando de Noronha on 6 may and, after training, on 11 may, pilots flew towards the archipelago of St. Peter and St. Paul to resume their flight from the point where they crashed. However, the engine failure forced them to make an emergency landing in the ocean again. The seaplane drifted for nine hours until he was picked up by the British freight steamer "City of Paris", which took them back to Fernando de Noronha. Raise on Board the plane was not any possibility, so it was left in the ocean. But this failure did not end the flight. With the support of the Brazilian government, brave aviators receive a third plane, to which the wife of the President of Brazil gave the name Santa Cruz. On 5 June, the plane was taken to Fernando de Noronha, and Coutinho and Cabral were finally able to finish the flight, first to Recife, then to Salvador da Bahia, then Vitoria, and from there to Rio de Janeiro. The flight was finally completed on June 17, when the seaplane landed on the waters of Guanabara Bay. Brazil greeted the airmen as heroes, on the waterfront was a huge, huge crowds, a welcoming speech was made by one of the pioneers of aviation Alberto Santos-Dumont, the Brazilian by origin. The journey lasted 79 days, of which the actual flight time was only 62 hours and 26 minutes. Aviators overcame the air distance of 8383 kilometers (5,209 miles). A small film about the flight with unique documentary shots. 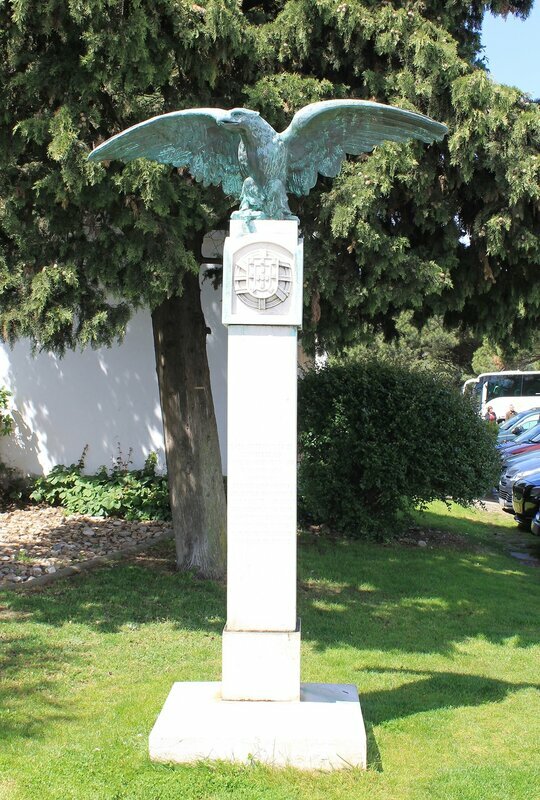 The flight of Portuguese pilots inspired other pilots: American Charles Lindbergh, Brazilian Joao Ribeiro de Barros and Portuguese Sarmento de Beires, who a few years later made transatlantic flights.